Horse in a Million moves away from the mystical themes of Night of the Red Horse, and concentrates on a theme Patricia Leitch was particularly keen on - not judging people. The book opens with Miss Tuke enlisting Jinny and her friend Sue to bring the Highlands in off the mountain and close to her stables, because the tinkers have arrived and Miss Tuke is convinced they'll steal the horses. What I like about Patricia Leitch is that she doesn't write in black and white. The tinkers are not all black, but they're not all white either. They are just as suspicious of people who live a normal lifestyle as they are of them. We mostly see Tam, who is obviously terrified of his father Jake. Jake rules Tam and their two lurchers with vicious determination. As if often the way with Patricia Leitch, it's the animals, in this case one of the lurchers, who provide a means of people building bridges between themselves. One of the lurchers is hit by a truck, and Jinny and Sue help Tam take him to the vet. Although Jinny may have judged the tinkers, she doesn't judge their animals, and it's this which helps her later on. 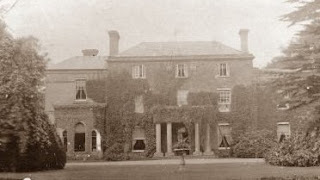 The other main plot line of the book involves the gymkhana Jinny and Sue are organising at Finmory. It's a very small affair, involving just them and the trekkers at Miss Tuke's stables, and Jinny is hopeful that for once, she and Shantih will win something: that they'll be like other families and actually win a cup, because Sue's father has donated one for the horse and rider who accrue most points over the gymkhana. Clare Burnley, the wealthy girl with beautiful horses and the holiday home in Scotland, makes the journey north just to take part in the gymkhana. And with her beautiful horses, accustomed to winning at the largest shows, she sweeps the board. We feel, with Jinny, the appalling unfairness of this. It is utterly unnecessary for Clare to take part: she has nothing to prove; and a thousand other chances to win, unlike the trekkers, who only ride occasionally. Again, this is nuanced, because it's easy to condemn Clare as nothing but a pot hunter, but at the Inverburgh Show, we see what winning means to her. She is utterly devastated to lost the jumping, and we see something of how she sees herself: she exists only when she wins. She cannot shrug off losing, and she's contrasted with Jinny, who loses spectacularly at the Finmory gymkhana, but manages to get over it. I love too the little bits of self knowledge we see Jinny acquiring in this book: of how she tells herself not to sulk when she can't go with her father to fetch Sue. It takes a lot to recognise your faults, and to do something about them. 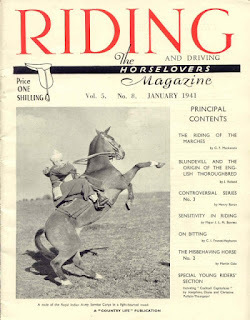 Of course the main thrust of the book is that ponies are stolen, as Miss Tuke predicts. Two of hers go, and, worse for Jinny, Shantih and Bramble vanish. They can be found nowhere, but it's through Jinny's earlier acts of kindness: because she defends Tam when he wants to watch the gymkhana, and because she helped the dog, that he tells them where they can look for the ponies. At the end of the book, we see that's what connects them: I feel about Shantih, says Jinny to Tam, the same way you love your dog. It is in that instant that Tam looks straight at Jinny for the first time, and they connect. "Coincidence!" said Ken scornfully. "There's no such thing. It's a cover-up word for a chain reaction, a linking of incidents which we hardly understand. We're only beginning to be aware of them." "What links brought Shantih to the car park?" "Your love for her," said Ken slowly. "The tinker boy's courage. Me coming to the sale instead of chickening out? The calves? The men in the horsebox? Who knows? These and a billion more subtleties create what we call coincidence." He laughed, hard and sudden. "We know nothing," he said, and running his hand over Shantih's neck, he went on down to the sea. Which is as dramatic a rebuttal as I've found from an author on the use of coincidence. Horse in a Million is a very liberating book to read; a hopeful one. You never know, says Patricia Leitch, what might be working away in the background to influence your life: do not box yourself in. 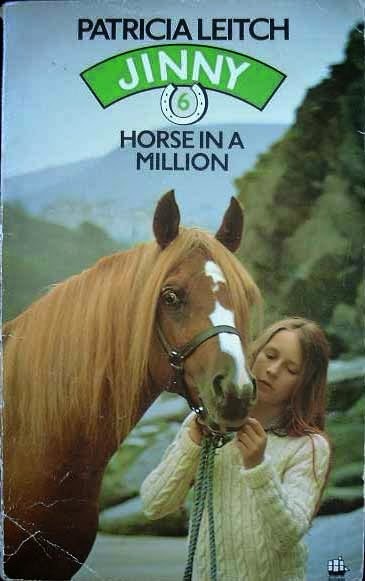 Horse in a Million has been republished by Catnip, and is still in print. Brilliant analysis Jane, as usual!